Onsite visit that we provide you with the confidence your home is safe and secure. We will secure your commercial property, specializing in restricted systems. At All Solutions Locksmiths we provide a 24/7 emergency lockout service opening all types of locks. Our promise is that every job will be undertaken by a friendly ,qualified and professional locksmith at a competitive rate. Campbelltown Macarthur and after hours Master locksmiths that come to you for commercial, automotive or domestic door locks fitting and key cutting when you need us. We can provide you with locksmith quotes over the phone instantly. Our highly experienced and licensed Master Lock smith provide emergency lock out, door lock fitting, and key cutting services everywhere across the Macarthur area, Campbelltown, Camden, Southern Highlands and Sydney CBD suburbs. As Campbelltown locksmiths, we provide car key cutting, fitting new door locks on your home and other requirements, we can do it all for you. All Solutions are situated in Campbelltown Macarthur 2560 and provide emergency locksmith services during and after hours in Sydney, Sydney CBD and the Campbelltown Macarthur area and southern highlands areas up to Camden for all door locks and automotive needs. Can I Get A Locksmith Quote Over The Phone ? Do I Call a Locksmith If I'm Locked Out Of My Car ? locked keys in car or need a locked out of home service ? All Solutions can help. We provide some of the latest equipment for car lockouts out and car key cutting for many models of cars. Ford, VW, Nissan, Toyota and many more models. No problems, we are the South West Sydney Campbelltown locksmiths that come to you anywhere in the Macarthur area. Are There After Hours Mobile Master Lock Smiths Near Me ? At All Solutions, we provide 24 hour or emergency after hours services, even on weekends and holidays for your emergency needs when you need an after hours emergency locksmith for residential or auto lockouts or have a security lock emergency for your commercial premises. We are your local after hours locksmith. When you need a locked out of car service or a locksmith for a house to fit new locks or rekey locks, All Solutions can help. If you need a highly experienced locksmith with commercial, auto or residential, call All Solutions in Sydney to get you out of trouble. Do We Provide Mobile Campbelltown Locksmiths For Car, Commercial and Residential Needs ? We provide Residential door lock fitting and are highly experienced commercial or industrial premises experts as well as providing car key cutting services and are mobile for all commercial, Auto or industrial related building security matters 7 days a week and available as after hour all year round. 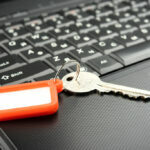 Do We Provide After Hours Mobile Commercial locksmiths ? We are all professional commercial lock security extensively trained with the latest equipment and technology in digital and electronic locking systems and also provide 24 Hour after hours emergency locksmith services for commercial or industrial premises. Being one of the best Sydney commercial lock specialists, we provide the latest security in electronic or digital locking systems for your business. All Solutions Locksmiths Harrington Park specialise in Restricted Key Systems, all domestic needs, automotive work and provide a speedy efficient lockout 24 Hour emergency locksmith service, seven days a week for commercial or residential or automotive needs. We are able to quote on most jobs over the phone or by email, saving you time. All Solutions is a mobile service with a fully equipped van, which means we come to you and attend to all your lock requirements on site. Locked out of your home or car anywhere in Sydney ? No problem. We provide 24 hour emergency mobile lock out assistance for your needs seven days, residential, car or commercial business. Securing your home, business or valuables is important. 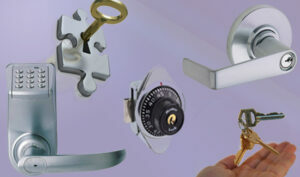 All Solutions offer residential and commercial customers peace of mind with a variety of locks and security products. You can trust our team to do the job right the first time. Providing quality & professional onsite locksmith services 24 hours a day servicing Harrington Park and the surrounding areas. Call All Solutions in Harrington Park for all your lock solutions. Our promise at All Solutions is that every client has our personal guarantee that the job will be undertaken by a qualified and professional locksmith at an affordable rate. Our client satisfaction is 100% guaranteed. What Areas Of Macarthur Campbelltown Do We Cover ? When it comes to lock re keying, lock fitting, key cutting, safe opening, safe servicing, automotive locksmith key replacement and car locksmith repairs you can count on All Solutions 24HR Locksmiths.